A lovely Cake made from deep black grapes at the top and a beautiful vanilla almond base with cranberries. I can happily say that this has been the best recipe made using the black grapes. I can’t really explain the beautiful flavors of this cake. But, you can see for yourself. The deep purple color from grapes at the top and the yellow vanilla base with almonds and cranberries. I have to say ,cranberries are my absolute favorite. Its just such a magical fruit and a very versatile ingredient. And combining grapes ,cranberries and almonds was just awesome. I never thought this combination was just delicious. You have to try to believe it. What best for me is that its Healthy too. 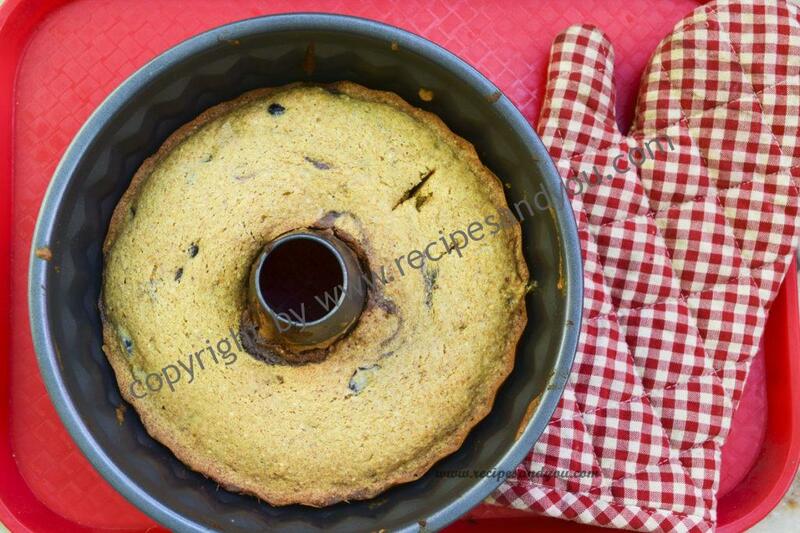 For using the grapes for this cake, I made compote, but a very simple one without any spice and condiments. Just plain sugar and pureed grapes on medium flame. Cook till it thickens just right. 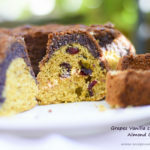 This cake again is whole wheat and loaded with benefits as it has grapes, cranberries and almonds. An excellent desserts or snack and in my house sometimes breakfast. Kids cannot resist this one! 1 cup almond flour or skinned almonds powdered in a mixer. Beat the egg whites. Add vanilla essence and lemon juice and lemon rind and beat again. Keep aside. In another bowl, beat the butter and sugar till creamy. Do sieve the sugar well to avoid lumps. Now, add the 3 egg yolks and beat well till nicely blended. Now, Sieve together flour, baking powder, baking soda and almond flour into the butter and sugar mixture. Mix well with a spatula. Add this stage divide the batter into half. Now add half the batter into the grape compote mix and the to the rest we will add ¼ cup warm milk and flour dusted cranberries. At this stage you have two batters: 1- Purple grape batter.2- Yellow vanilla cranberries batter. Grease a Bundt pan with butter and pour the grapes batter first. Tap on the shelf to settle evenly. Now pour the vanilla cranberry batter on top. Spread evenly with the spatula. Tap again to settle any air bubbles. Bake this in a preheated oven @ 180 degrees c for about 40 minutes or till done. Please follow your oven temperatures for time. Let it cool completely before unmolding and serving. I’ve never baked with grapes before! What a fun idea. Your cake looks delicious! Hi Abby. Thanks for sharing your views with us. The cake does come out delicious. You must try .Am glad you liked the idea. This simple cake is elegant enough to serve to guests. No fuss, great flavours and a true crowd pleaser. I rarely bake but I do LOVE grapes! This sounds delicious- I want a bite! 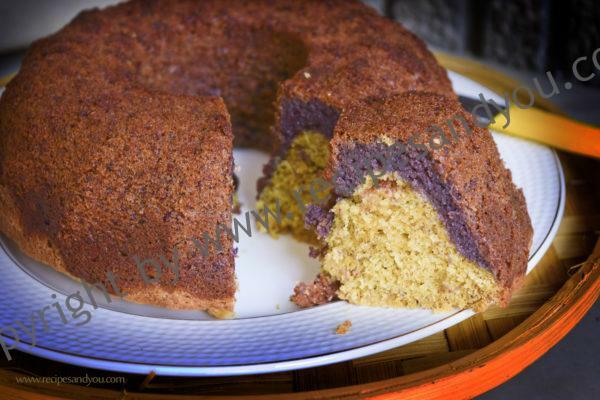 That purple color at the top of the cake is just lovely! And it marries so well with the vanilla and cranberries! Bundt cakes are my favorite kind of cake! I’ve never baked with grapes before – what a great twist. What a fun recipe! i’ve never thought of combining grapes and cranberries before! This is a great recipe for fall! I just these types of cakes! Thanks for this great recipe!! This cake is so pretty – I just love that rich, colorful swirl! I have never baked with grapes before, but think is a lovely idea. This sounds like a flavor explosion and I love the purple ban from the grapes. Using grapes in a cake? Brilliant! This looks like the perfect treat! What fantastic flavors! I would love to try this. I especially love the almond flavor-so delicious! What a beautiful cake! I love any cake that combines fruit and almond. The egg whites must give this such a wonderful texture! 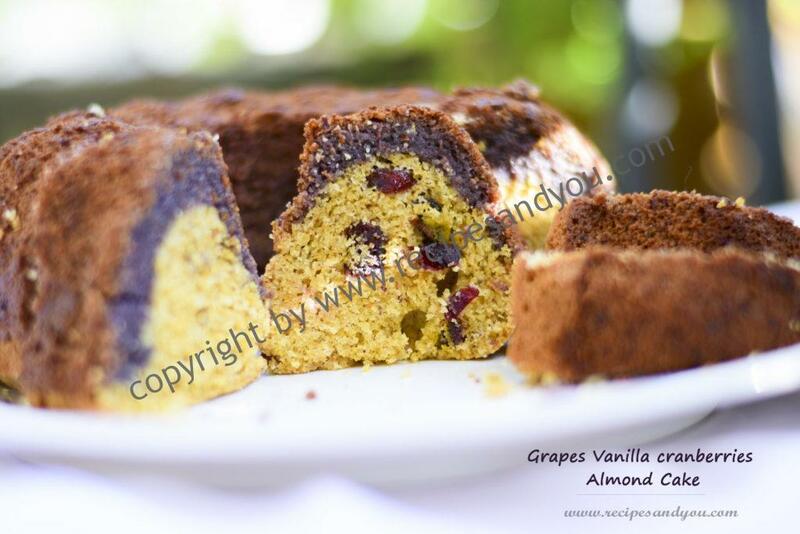 What a fun idea to use grapes in a cake! This looks like a wonderful way to end a meal!